Idiot Glee (aka Kentucky’s James Friley) makes pop music. Friley brilliantly loops vocals, keyboards, and synthesizers into twelve tracks of nostalgic perfection with his full length debut on Moshi Moshi. Heavily influenced by The Beach Boys’ Pet Sounds, Paddywhack feels eerily similar to the Fleet Foxes covering your parents’ favorite doo-wop tracks. With one of the most sincere, urgent, and pure voices in new music, Friley often sounds like Robin Pecknold himself. Combining ’60s sentimentality with lo-fi, one-man production a la Grizzly Bear, Idiot Glee lands somewhere between the past and future of pop. Crooning over his own arrangements of rich, doo-wop harmonies, Friley pays honest, unapologetic homage to simpler times. Tracks like “All Packed Up” and “Don’t Drink the Water” showcase Brian Wilson-esque genius. “Let’s Get Down Together,” and “Don’t Go Out Tonight,” could have been lifted from an early Mo-Town sampler. “Trouble at the Dancehall” reveals Friley’s darker side, whereas “Happy Day” is sweet enough to give you a cavity. Warped and spooky, “Deep Descent” is simply mesmerizing. Paddywhack is a fresh, exciting blast from the past without a hint of irony. This dude is damn talented and genuinely in love with music. 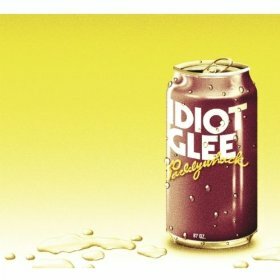 Pick up the album and fall in love with Idiot Glee.